I always buy 3 extra bananas when I buy bananas with the intention that they won't get eaten, will go brown to the point they can't be eaten, but they are perfect for banana bread. 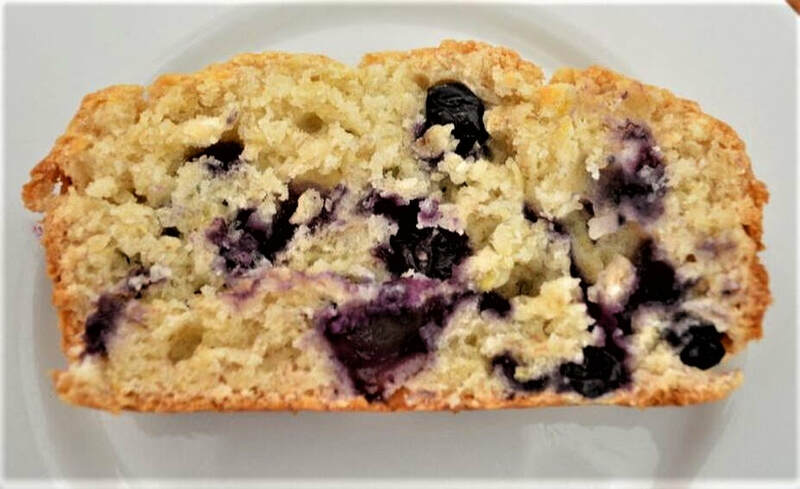 As for blueberries, my kids love blueberries, so when I found this recipe, I had to try it. I nearly always make this with fresh blueberries when in season and cheap. But I have made it with frozen berries. 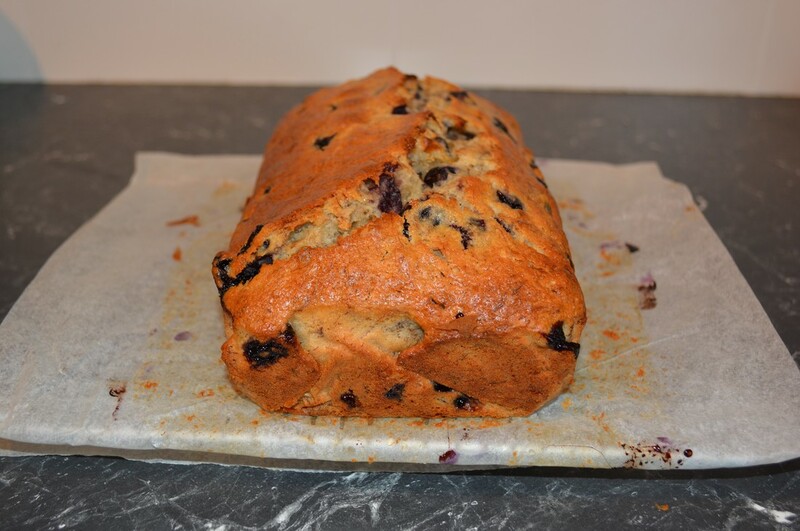 As the blueberries are frozen it did add an additional 15-20 minutes of baking time, otherwise it worked perfectly. The first time I made it, I made it with 2 bananas, it was a little dry. The following day I had to make it again, this time I mashed up 3 bananas into the mix and it was perfect. It was soft, moist and full of flavour. I have even added a fourth banana, worked well to, just needed to be baked longer. It is so easy to make, you can whip it up in less than 10 minutes, put it to bake and you will have a great sweet treat for you and your family. 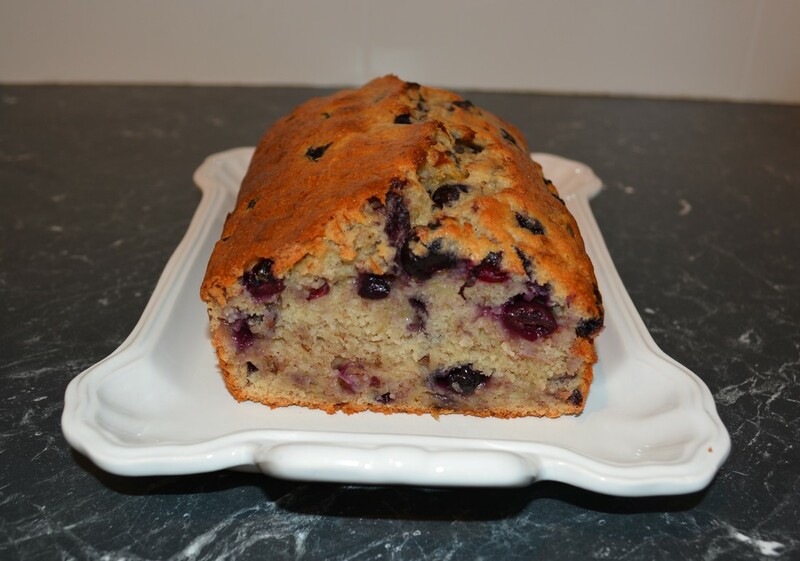 So if you like the combination of bananas and blueberries, give this banana bread a try. Grease and line with baking paper a 21cm x 11cm (base measurement) loaf tin. In a bowl, mash up your bananas with a fork, I like to leave a few lumps, it does not need to be ultra smooth. In a large bowl, place the flour, baking powder, salt and sugar, give it a quick mix with a spoon. Add the oil, bananas, egg, buttermilk and vanilla extract. Stir the mixture until you see no dry flour bits, but don't over mix. Add the blueberries, and gently mix them in. Pour the mixture into your prepared tin. Bake for 55-60 minutes. It is ready when you insert a skewer into the centre and it comes out clean, or just press on it, it will feel springy and baked, not soft and wet. Leave to cool in the tin for 5 minutes, then pull it out with the help of the baking paper, and place on a cooling rack to cool completely.